We are the first and only stop you will need when it comes to garage doors in Alamo. We carry all models and sizes of garage doors, so you will always find what you need. If you need Alamo garage door repair, then you can get in touch with Precision Garage Door Bay Area. 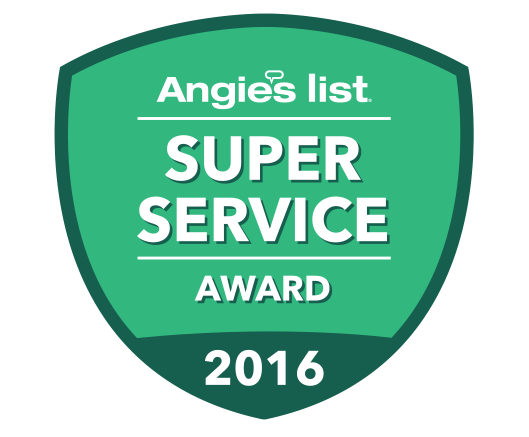 Each of our technicians is a certified Alamo garage doors expert. Our team of professional garage door technicians offers several Alamo garage door services. We offer door track cleaning, door track repair and door panel replacement. We can also perform Alamo garage door maintenance. Additionally, if you have problems with door balance or a noisy garage door, then we can also take care of that for you. We also recommend that you get a garage door safety inspection. This can reveal common problems such as broken springs. It is a lot easier to perform Alamo garage door repair if the problem is corrected early. Why Call Us For Alamo Garage Door Repair? You will be able to get service as soon as possible. We are open on the weekends and evenings, which makes it convenient for you to get garage door repair in Alamo. When you call us, you will be able to talk to an actual person instead of a recording. We can give you a consultation before we perform door panel replacement, door track repair or door track cleaning. There is no charge for the consultation. We also give estimates on Alamo garage doors. "The technician provided very fast, courteous and efficient work. There wasn't any pressure to buy extra services. He gave a thorough explanation of the wear on the garage door system that had occurred. I had an excellent experience with Precision Door Service." 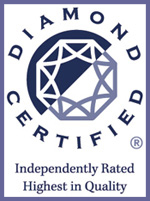 "Outstanding service and representation. Paulino did an excellent job!" "Precision is a very responsive company. They answer the phone, call when on way, give us multiple options for repair. My garage door needed minor repairs but I opted to have all new rollers installed. It is smooth and was never so quiet." "I found Precision while searching on the internet. They had a very nice website so I called. Malek, the technician, arrived on time, explained what needed to be done and completed his work quickly and professionally." 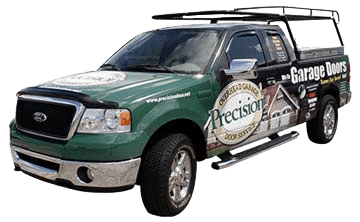 "Never used Precision Garage Door before but really happy I called them. Ricky, the technician was on time, nice and professional. People on the phone were great and appreciated the call ahead of time telling me when they would arrive. Will keep the name for next time too." "He did a great job! Thank you." Gail,Thank you for taking the time to recognize Ricky's good work. He is a hard working young man. "Great job on fixing my garage door!!" "Found company to be accommodating with my schedule. Technician was at the house 10 minutes before scheduled time. Doug B. (Service Technician) is highly experienced and knowledgeable about garage door repairs and products. I was very impressed and pleased with the service I received. I would recommend Precision to my friends and family." "Granzel was informative and knew his craft! Very friendly and did an excellent job!" 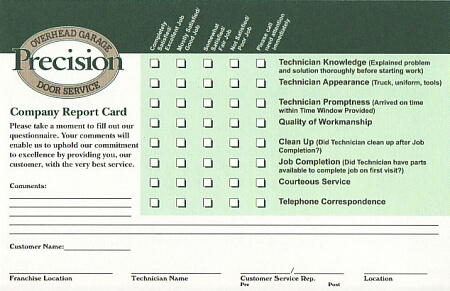 "Precision Garage did a great job fixing one of our Garage doors that was not working properly. The appointment process was easy, they were able to send the technition 2 hrs later and all the parts they needed were on the Truck. Sam the technition was very friendly and capable the the door was fixed in short order. Thanks and nice to work with a professional representitive like Sam"